At 16, Browning had left his well-to-do family to join a traveling circus: he drew on his personal experiences for Freaks. Because of his success as the director of Dracula, he was given a considerable leeway for a major studio's first horror film: this and the fact he was working in Pre-Code Hollywood enabled a unique production. In the film, the physically deformed "freaks" are inherently trusting and honorable people, while the real monsters are two of the "normal" members of the circus who conspire to murder one of the performers to obtain his large inheritance. 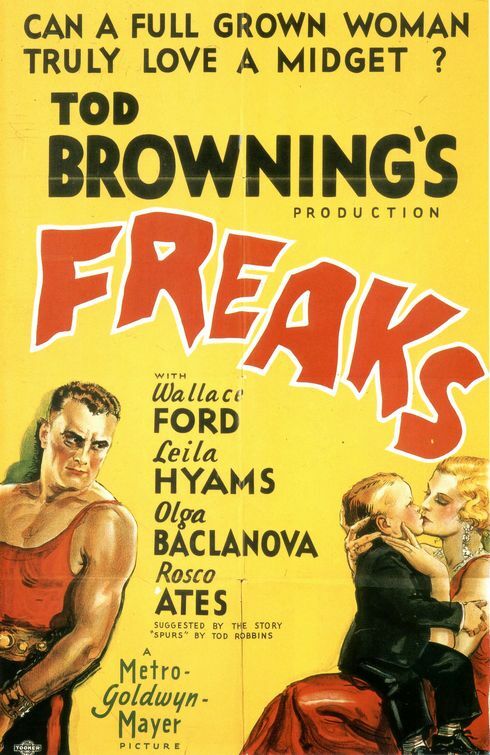 Beginning in the early 1960s, Freaks was rediscovered as a counterculture cult film and throughout the 1970s and 1980s, the film was regularly shown at midnight movie screenings at several theaters in the United States. 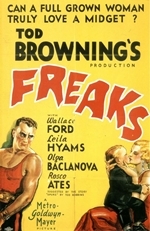 In 1994, Freaks was selected for preservation in the United States National Film Registry as being "culturally, historically, or aesthetically significant".